Family Dentistry of Ocean City has been satisfying the needs of people searching for excellence in dentistry for over twenty three years. For patients that are nervous at the thought of going to the dentist or who may have had difficulty in receiving dental care in the past, we can help you. For a complete list of the services we offer, please click here. 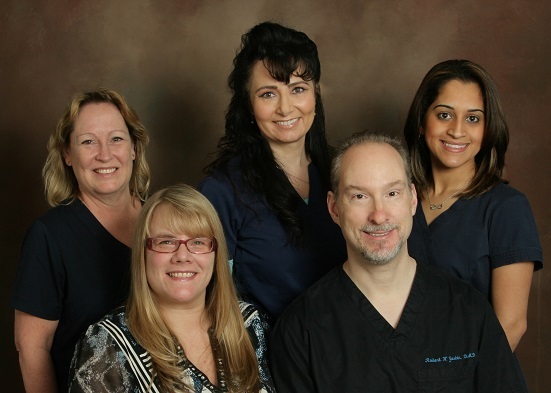 As a patient oriented general, cosmetic and implant dentistry practice in Ocean City, New Jersey, we work closely with our patients so they can achieve and maintain a beautiful smile and optimum oral health. We place dental implants on a regular basis and can often help patients with advanced care needs. We take the time with our patients to explain their treatment options and inform them of ideas for additional preventative care. Our office is located on the corner of 15th Street & Central Avenue in the middle of town. We invite you to call 609-399-7173 with any questions or email us via the Contact Us or Request An Appointment pages of our Web site. If you have any special needs, just let us know! We look forward to your visit. Born and raised in Wynnewood, Pennsylvania. Wynnewood is in Montgomery County about 5 miles northwest of the Philadelphia border by City Line Avenue. After working as an associate doctor in the Philadelphia area, Dr. Yaskin acquired the practice of Daniel Schwenk, D.D.S. in 1995. "I moved to Ocean City, NJ 4 years ago and had to find all new doctors. My wife is a retired dental assistant/dental office manager so finding a great dentist we very important to us both. Well, I have to say, we got very lucky finding Dr. Robert Yaskin. He is excellent at providing dental care. He stays current on all of the latest dental technologies and procedures. His office in Ocean City is spotlessly clean. Additionally, I have to mention he has a great dental hygienist on staff, Elizabeth Mai. Everyone in the office is friendly, thorough, and competent. I can't recommend them more highly." "Dr Yaskin and his staff are the only ones that I use for dentistry. The care, skill and comfort I receive is the best.I am a gagger and They deal with it better then anyone else has. His skills and equipment are up to date, and the atmosphere is very pleasant and relaxing." "Great experience! The staff is friendly and knowledgeable. Would absolutely recommend." "Dr Robert W. Yaskin is professional, friendly and Knowledgeable. The fantastic team at Family Dentistry of Ocean City does a great job with billing, appointment management, care planning and the office is very clean. Everyone is super friendly ."